That neighborhood was a working-class suburb of Philadelphia riven by class distinction and haunted by contradiction: Her father, between fits of rage, tended the neighborhood’s most beautiful garden; her mother, gutsy poet and activist, suffered from paralyzing fears that kept her from leaving the house. In Cappello’s hands, agoraphobia, usually considered a private malaise, is understood as a social condition, and Cappello deftly, lovingly reads her family’s “symptoms” for what they were trying to say. Delicately interweaving the bilingual journals of her grandfather (a southern Italian shoemaker), her mother’s poetry, Sicilian folklore, and dreamwork with her own story, Mary Cappello writes as witness of the marks left on her family by immigration and assimilation. Night Bloom counters America’s obsession with Mafiosi at the same time that it exposes the daily violence of grinding proverty. As a lesbian who has entered the middle class, Cappello celebrates the subversive desire in her immigrant family’s responses to the forces shaping their lives, and in the Catholic icons, television superheroes, and disco divas with whom she identified as a child. 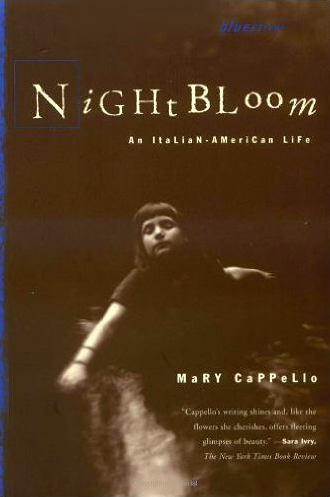 “One never cultivates a flower without also provoking a dream.” In Night Bloom, Mary Cappello resuscitates such dreams and offers us her family’s unsung art — their gardens, letters and rosary beads — for the lessons they teach us about creativity and loss. Click here to see where Night Bloom has been cited and translated. 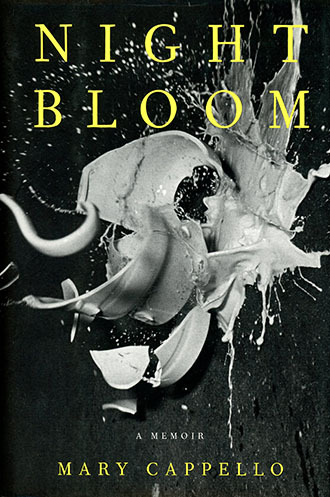 Night Bloom was nominated for the 1999 Gradiva Award for Best Autobiographical Book by the National and World Associations for the Advancement of Psychoanalysis. Italian scholar, Clara Antonucci features Night Bloom in her dissertation in-progress, the other two-thirds of which is devoted to the work of Kym Ragusa and Mary Caponegro. Caterina Romeo’s recently published book on Italian American women’s memoir, Narrative tra due sponde: Memoir d’Italiane d’America devotes a chapter to Night Bloom. Night Bloom was translated in its entirety into Russian by Julia Lapteva of the Gorky Literary Institute, Moscow. » Read an interview on Writing Memoir. » Read an interview on voice, audience, and one writer's beginnings. » Read an interview on Composing Dialogue. Listen to an interview with Susan Franzblau, 91.9 WFSS/FM, Public Radio for the Carolina Sandhilss, on Night Bloom.